﻿ This five-piece alternative rock band from York have released their debut EP Can’t Forget, making their first considerable step into the limelight since singles Black Canary and Six Seasons And A Movie, which were both released in 2016. With a reputation built up over the past two years on energetic live shows and bringing a British twist to the genre, the anticipation for some new music has been high. The decision to collaborate with producer Dave Boothroyd at Reel Recording Studio (who has worked with the likes of blink-182 and Deaf Havana) and Alan Douches raised expectations to a new level. The EP opens with an emotionally charged combination of raw lyrics and vocals from Elliot Partridge in Lie With The Dogs and Apology Is Policy, showing their ’90s Long Island punk rock scene influence. The band bring back the days of Billy Talent and Jimmy Eat World with a modern alternative sound comprised of harmonies and intertwining dual vocal interplay between perfectly executed riffs. Speculative Grief becomes the highlight of the five tracks with its subtle guitar work driven by a beat to make it a concert anthem. The final track, We Used To Make Mixtapes shows the tendency to slip into the contemporary emo sound of the early 2000s popular with commercial charts and radio stations. No doubt, Can’t Forget ticks all the right boxes in delivering enjoyable track after track but with the lyrics “can’t forget what I heard and that’s just what I deserve”, there needs to be something more to make this band stand out from the crowd and move beyond its predecessors. Unfortunately, Feed Them To The Forest lack stylistic variation; they have the right idea and some decent songs but need that unique stamp to distinguish themselves from the mass competition they will be compared against. 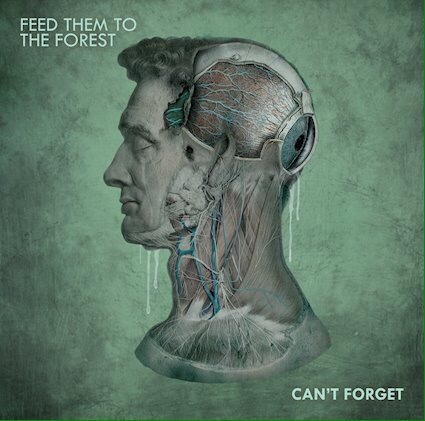 ‘Can’t Forget’ by Feed Them To The Forest is released on 7th May.